This accessible history of Confucianism, or the `Way of the Ru', emphasizes the religious dimensions of the tradition. It clearly explains the tradition's unique and subtle philosophical ideals as well as the `arts of the Ru' whereby seemingly simple acts such as reading, sitting quietly, good manners, and attending to family and state responsibilities, became ways of ultimate transformation. This book explains the origins of the Ru and documents their impact in imperial China, before providing extensive coverage of the modern era. Confucianism in China: An Introduction shows how the long history of the Ru is vital to comprehending China today. As the empire drew to an end, there were impassioned movements both to reinvent and to eradicate Ru tradition. Less than forty years ago, it seemed close to extinction, but today it is undergoing spectacular revival. This introduction is suitable for anyone wishing to understand a tradition that shaped imperial China and which is now increasingly swaying Chinese religious, philosophical, political, and economic developments. 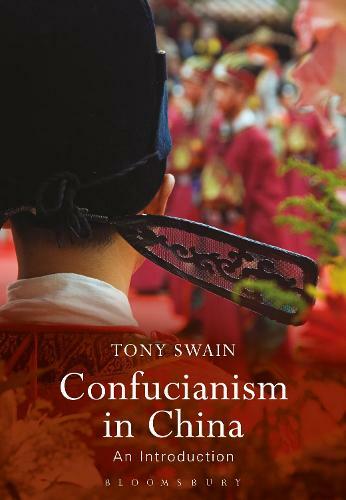 The book contains a glossary of key terms and 22 images, and further resources can be found on the book's webpage http://www.bloomsbury.com/uk/confucianism-in-china-9781474242462/.